Breaking the mold of the traditional car buying guide, Car Match (http://www.CarMatcher.com) provides new and used car shoppers with tailored advice in written reports to help them choose the car, SUV or truck model that best meets their individual needs. Car Match's philosophy is to match each shopper to their perfect car. Choosing a car is a big decision, Car Match's new online service helps car shoppers make the right one! Consumers can personalize just about any product or service from their morning coffee to their ringtone. Car shoppers, however, have been left to fend for themselves to wade through mass-produced auto buying guides. Car Match seeks to change that by providing customized car shopping advice written specifically for each unique car shopper. How does Car Match work? Car Match's new online service makes auto experts available to each car shopper - It's like having your own personal "car guy" walking you through the car shopping process. To use Car Match, car shoppers convey their automotive needs and desires to Car Match’s advisors by completing a short online questionnaire at http://www.CarMatcher.com. Car Match’s advisors then craft a custom report for each car shopper detailing which models, whether new or used, best suit them. The reports include not only recommendations, but also full explanations of why the recommended models are suitable and why other models were omitted. Depending on the Car Match package selected, Car Match also provides ongoing advice and support throughout the car buying process. Customers of Car Match have thus far been enthusiastic about the valuable information and personalized service they've received. 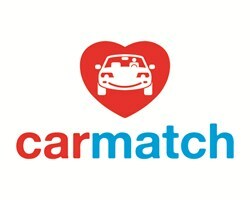 One happy Car Match customer raves: "I’m grateful with Car Match’s help. We were initially overwhelmed by the number of SUVs available, but Car Match helped us sort through it all. We felt much more informed and confident speaking with dealers and we know we made the right choice with the SUV we purchased." In addition to having a better handle on the right model, Car Match’s customers report feeling empowered to negotiate the best deals and feel in control of the buying process.